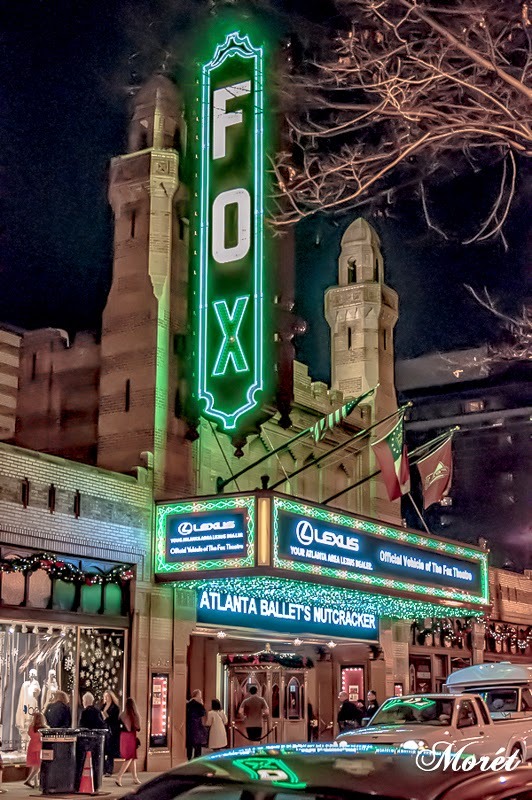 Atlanta Ballet’s Nutcracker returns to the Fox Theatre Dec. 11 – 28 with the Atlanta Ballet Orchestra and the Georgia Youth Choir live for all 20 performances. Set in the elaborate Moorish décor of the historic Fox Theatre, this unique production of the beloved Nutcracker tale takes 20 pounds of snow, eight tons of scenery, lighting, and props, and a 38-foot-tall Christmas tree to make the magic of Marya’s unbelievable story come to life. Now in its 55th production, Atlanta Ballet’s Nutcracker continues to be a treasured holiday tradition shared by multiple generations. Each year, Atlanta Ballet invites more than 200 Atlanta area school children to perform alongside 23 professional company members and four company apprentices in this holiday spectacular. Atlanta Ballet first brought Nutcracker to the stage in 1959, performing George Balanchine’s version of the timeless tale. In that year, Atlanta Ballet was the only company outside of New York City Ballet allowed to perform this signature piece thanks to Atlanta Ballet’s then Associate Artistic Director Robert Barnett, who had danced with Balanchine at New York City Ballet. “We gave it as a gift,” says Barnett, “inviting children from all counties to come in and see the performance. It was a gift from Mr. Balanchine, and he never charged us a cent for doing it.” From that day forward, Nutcracker has been an annual event in Atlanta. In 1995, Atlanta Ballet’s third and current artistic director, John McFall, created a brand new Nutcracker for the city of Atlanta. McFall’s vision was to create a Nutcracker that was “traditional yet new, familiar yet different, classic yet contemporary and above all, magical.” Every year since then McFall has added a special touch to the production in an effort to keep it vibrant and fresh.